What Are The Training Requirements For An Illinois Concealed Carry Permit (License To Carry)? The law requires that you satisfy 16 hours of training. For most people, this means two 8-hour courses. The first 8-hours is a safety / marksmanship course, which you do not need to take if you are an honorably discharged veteran. Your discharge papers are proof enough that you know how to handle a gun. The first 8-hours are also satisfied by NRA courses, such as the NRA Basic Pistol Shooting Course, NRA Personal Protection in the Home and NRA Personal Protection Outside the Home. Utah, Florida, Nevada, Missouri, Kentucky and Michigan CCW Permits. (The training is what qualifies you for credit — NOT the permit.. So if you have taken a 5-hour course that qualified you for two states’ permits, then you are NOT entitled to 4 hours of credit for each. The second 8 hour class is something that everyone will need. It is a class that teaches all the specifics of this new law, where and when you can carry a gun, etc. and also has a shooting qualification (which is NOT difficult). What if I have a Utah, Florida or Arizona Permit (or another state’s permit)? The Illinois State Police will allow you credit for classes that were approved for other states’ ccw permits, up to 8 hours. You will still need to take the second 8 hour, Illinois-specific course. Do Veterans Need the Full 16 Hours of Training? If you are an honorably-discharged veteran, active-duty or reservist, you will be credited with 8 hours, but you still will need to take the ‘second’ 8-hour course. What does the ‘Second’ Eight hour class consist of? This covers all the applicable state and federal firearms laws. It also has a shooting qualification, which consists of firing 30 rounds at a man-sized target. You will shoot 10 rounds from a distance of 5 yards, 10 rounds from a distance of 7 yards, and 10 rounds from a distance of 10 yards. You will pass if you hit 70%, which is 21 rounds hitting the target. What is the fee for the class and the permit? The application fee for an Illinois License to Carry is $150 if you are an Illinois resident. Non residents will have to pay a $300 application fee. This fee does not include the cost of any training you are required to take. Before going to shoot at the range, we will have hands-on training, exercises, discussions and video clips to keep you totally engaged. The best way to learn is by doing, so we have a lot of ways to ensure that you are not just warming a seat! Whether you have never fired a gun before or are a seasoned shooter, you will learn a lot from this class as we thoroughly cover all the basics of using a handgun. If you satisfy the first eight hours of the Illinois Concealed Carry training requirement through the non-NRA option, you will qualify for the Utah non-resident CCW Permit. However, you will have the same instructors and the same quality of instruction for both! 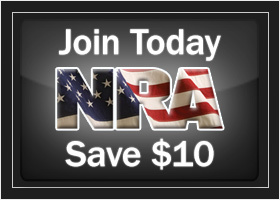 Passing this class will earn you an NRA Certificate of Completion, and your first patch (“NRA Basic Practical”) for the Winchester / NRA Marksmanship program. Lunch – we will have a brief lunch break and there are many fast food restaurants nearby, or you can bring a sack lunch. Please also feel free to bring a snack / drink into class. PLEASE NOTE: NO LIVE AMMUNITION IS ALLOWED IN THE CLASSROOM, EVEN IN A SHOOTER’S BAG. PLEASE LEAVE ALL AMMUNITION IN YOUR VEHICLE. You will not be bored! Even if you are merely attending to fulfill a requirement! We look forward to seeing you! The shooting for the classes takes place at the range in the town of Atlanta, which is just outside Bloomington Normal, at the extreme northeast corner of Logan County. The class location is convenient for residents of Bloomington, Normal, LeRoy, Chenoa, Lexington, and El Paso. If you live in Peoria, Peoria Heights, Morton, Pekin, Washington or Tremont, you are very close to Atlanta in Logan County, where you can attend a concealed carry class. Illinois Gun Pros offers classes in Central Illinois that are very convenient to Macon County. Most classes are held in Atlanta, which is in the northeast corner of Logan County, though classes can also be arranged in Decatur, Forsyth, Maroa, Macon, Argenta, Blue Mound, Forsyth, Harristown, Long Creek, Mount Zion, Niantic, Oreana, and Warrensburg. Logan County is right next door to Sangamon County, where Springfield is located. Classes held in Atlanta, at Exit 140 on I-55, are less than an hour from Springfield for those wanting to get licensed to carry concealed. Classes for the first eight hours of the training requirement are most often held in LaGrange, which is about 25 minutes from the range where shooting is conducted at the end of the class. The location is the Robert Coulter Post of the American Legion on LaGrange Rd in LaGrange. 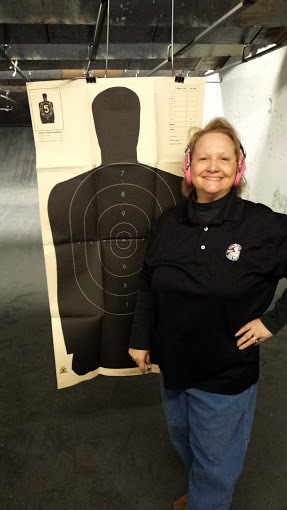 The shooting qualification for the concealed carry classes is done in Lombard at Article 2 Range. This is in the backyard of Wheaton, Lombard, Addison, Glen Ellyn, Elmhurst, Warrenville and Wood Dale. If you live in Aurora, St. Charles, Geneva, Batavia, Elgin or North Aurora, Carpentersville or Carpentersville, you are just a hop, skip and a jump from a class by Illinois Gun Pros. Chicagoans wanting to get their Concealed Carry license can drive to the convenient suburban location in Lombard, which is nearby in DuPage County. 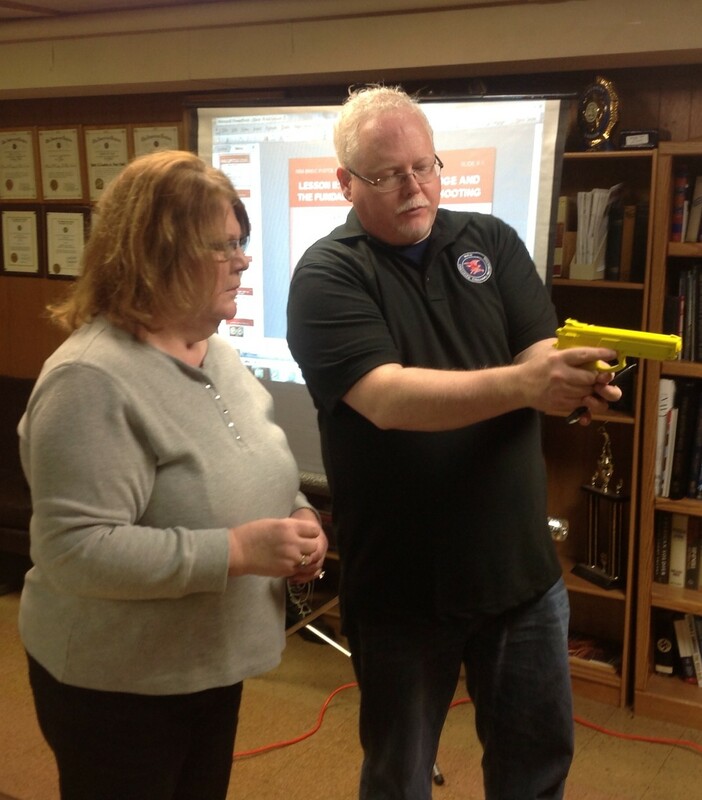 Joliet residents looking for a Concealed Carry class can attend the classes in the Lombard area, which is just off I-355, the North-South Tollway. This is very convenient for Will County residents living in Aurora, Joliet, Crest Hill, Naperville, Romeoville, Shorewood, Bolingbrook, Lockport, Plainfield and Tinley Park.